Divorce was once heavily frowned upon within the Christian community. Couples were often afraid or ashamed to split up but now it is accepted that under certain circumstances, divorce is the appropriate way to end an unsuccessful relationship. Returning to the dating scene after a divorce is difficult, but increasingly common, as people continue to search for the right person with whom they can settle down. Christian dating after divorce is a growing phenomenon and as the general divorce rate rises, so does divorced Christian dating. Read on to discover why Christian men may be more likely to remarry than women. The main element about dating is finding the time to actually go out and date. Online dating has opened up a world of opportunity for single parents, allowing them to meet new potential matches from the comfort of their home. Raising children is a full time job and today about 80% of women are awarded child custody. This leaves most single moms a lot less time to go out and date. Most men divorcees who do not have full time custody can date more often leading to a greater chance of finding a good match. 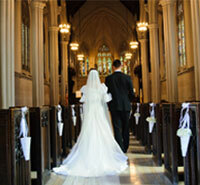 In Christianity, marriage is viewed as an ideal, divine institution to which all should aspire. When God finds that Adam is incomplete and needs a partner, God then creates Eve and blesses their partnership. Remarrying after divorce is viewed differently throughout Christian communities but all consider marriage holy and desired by God. Some divorced women take the time to reinvent themselves, find new hobbies and enjoy the time spent worrying only about their own happiness. It seems most Christian men who have the same ideals, would like a woman to look out for them. Men look for a woman to take care of them and share the everyday responsibilities with. So while most divorced women own their new born freedom, most men are out trying to find a wife to settle down with, share and follow the Christian ideal of marriage. The most important religious value is belief in God. God will show you the way, God will watch over you and God will guide you. When divorce occurs, the value of believing in God goes hand in hand with acceptance. Accepting that although unexpected things such as divorce happen in our lives, God makes everything happen for a reason. Moving forward with Gods guidance, one must decide to embrace the past and believe that divorce happens to bring you to your ultimate destined marriage. God guides both men and woman to happiness. In religious circles there is emphasis on family units. 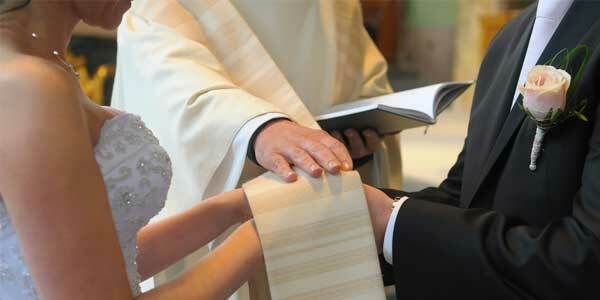 Parents pass down the values of their faith to their children. Not every marriage that ends in divorce has children involved. Many divorced couples simply never succeeded or agreed on having children together. The desire to have your own children to pass down your values and traditions along to may be a push towards remarriage. For men the discussion of children comes with a lot more flexibility age wise. Where for women there are restricting age guidelines for having children. In choosing a potential partner to build a family men seem to have a broader age selection- they can date someone younger or simply go for an older woman who already has children from a previous marriage. After a certain age some women who don’t have children are no longer a suitable match for a man who does want to have children. In many cases, Christian divorcees who are looking to remarry someone of their faith find success in the world of online dating, where you can specify different criteria in a potential match. There are specially designed dating websites for the Christian community which help connect people of shared faith. Older divorcees may prefer to use senior dating services such as SeniorPeopleMeet, where all matches are within your desired age range, with religion as an added criteria. When thinking why it is that Christian divorced men may be quicker than women to remarry, it’s worth bearing in mind the fact that men in general tend to be more eager than women to remarry. A recent study by Pew Research reveals that while two thirds of divorced or widowed men want to remarry, fewer than half of women feel the same way. Perhaps it is the case that Christian men are keen to remarry not just because they are statistically more likely to, being men, but also because they have the religious conviction that marriage is holy and the best framework for a committed relationship. They can gain confidence from the belief that God and His actions are good, and strength from praying that He will help them find happiness. Are you ready to look for love? Start your search online where you can look for someone who really ticks all the boxes.